'Tis the season to.... sing! 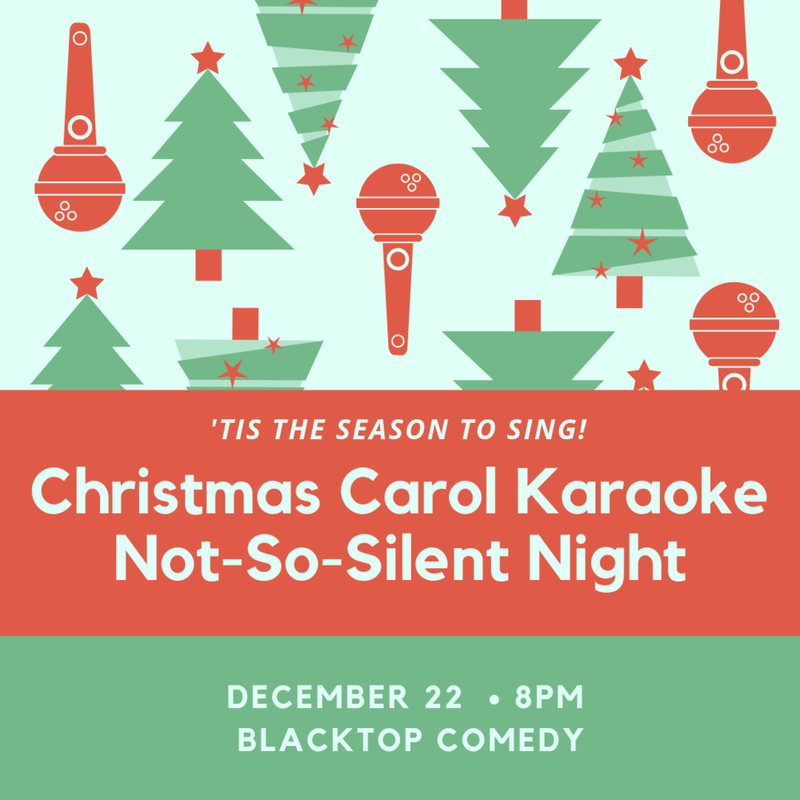 Join us on December 22nd for a Christmas Carol Karaoke Not-So-Silent Night! A first-of-its-kind Christmas Caroling Event! Signup to perform on the night of the event….or just come out and enjoy the performances! Singing is just the beginning, as the performers spin the Improv Wheel of Madness. Added challenges, special surprises, and a night of laughs await! It's Carol-oke Night of fun! SEATING IS LIMITED TO THIS VERY SPECIAL EVENT. Reserve your seats online or at the box office.